Hold blueprints, calendars, important memos, visual aides, work plans and more with these convenient, heavy duty magnetic bases. Ideal for warehouse, workroom and office use. 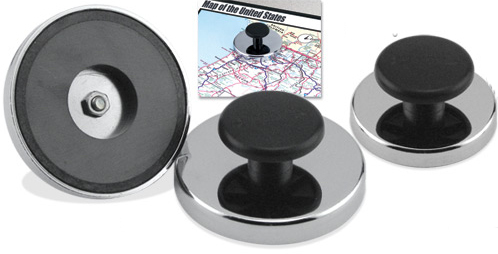 Each magnet features durable nickel plating and easy-grip knob for positioning.